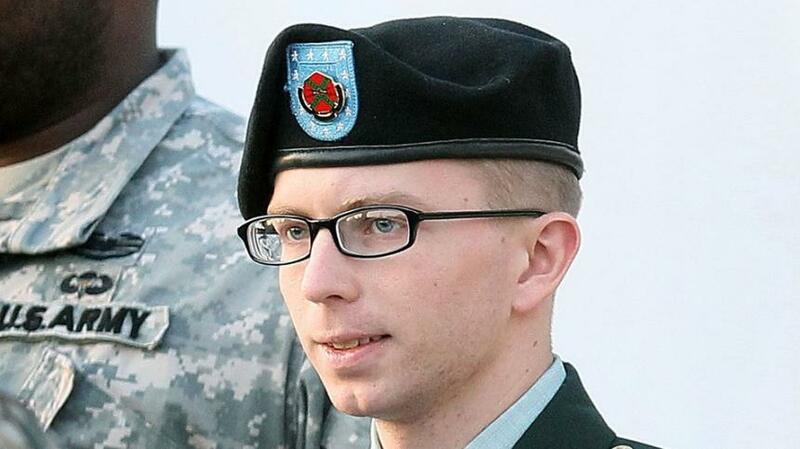 For the past three nights, the officers guarding PFC Manning have ordered him to strip and sleep naked. They take his clothing from him and force him to sleep in his cold jail cell without cover. In the morning, he is required to stand naked at attention for the morning roll call. All signs indicate that they will continue this humiliating practice for the duration of Manning’s detention. Manning is currently being held in maximum custody under a Prevention of Injury (“POI”) protocol at the Quantico detention center. POI protocol requires Manning to be under nearly constant supervision. He is forced to endure invasive and unnecessarily harsh conditions. Manning has repeatedly requested to be removed from maximum custody and POI status. These requests have been denied by Quantico commander Colonel Daniel J. Choike, despite an overwhelming amount of information that supports his request. The Pentagon’s own Press Secretary has gone on record stating that Manning has been nothing short of an “exemplary” detainee. Forensic psychiatrists on staff at the Quantico facility have consistently maintained that there is no mental health justification for Manning’s POI status. The Pentagon itself has confirmed that Manning is not a risk to himself but refuses to remove him from this excessive custody. First Lieutenant Brian Villard, a Marine spokesperson, says that Manning is being ordered to strip naked for his own safety. When the Quantico commander denied Manning’s request to be removed from POI status Manning became understandably frustrated with his situation. He asked the brig operations officer what he could do to be downgraded from maximum custody and POI protocol. The Quantico brig commander told Manning that there was nothing he could do and that the brig would consider him to be a risk for self-harm. This response infuriated Manning. He sarcastically responded and said that their POI protocol would not be sufficient to keep him from harming himself if he wanted to. He stated that he could harm himself with the elastic waistband of his underwear or with his flip-flops. This comment was reportedly the reason for Manning’s latest unconscionable treatment. No mental health professionals were consulted before the brig commander decided to increase the restrictions and requirements placed on Manning at the detention facility. Instead, the brig commander used this flippant comment as justification for the humiliating conduct. It was explained that Manning was being forced to forfeit his clothing because they feared he was a suicide risk. However, Manning was never formally placed under the designation of Suicide Risk Watch. This is because placement on Suicide Risk Watch requires a mental health provider’s recommendation. A brig psychiatrist’s evaluation of the incident described Manning as “low risk and requiring only routine outpatient follow-up [with] no need for…closer clinical observation.” Since the brig mental health providers did not feel that Manning was a threat, it would have been impossible to place him on Suicide Risk Watch. The brig commander did not need the support or recommendation from a mental health professional to increase the restrictions under POI protocol. The conditions of POI watch only require psychiatric input. The decision is ultimately up to the brig commander. The fact that the brig commander did not place Manning on Suicide Risk Watch, but rather increased the restrictions of his POI protocol, indicate that the acts were punitive and not for Manning’s well-being. The decision to force Manning to strip, sleep, and stand at attention while naked is clearly not related to his mental health. If anything, the treatment only serves to worsen any mental health condition that Manning may have. The treatment is unconscionable and serves as punishment. Manning has not been convicted of a crime and should not be subject to this kind of treatment. If the brig commander had a legitimate concern for Manning’s safety and well-being he would take positive action to ensure that Manning received the mental health care he needed. Alternatively, they could provide clothing to Manning that could not be used to harm himself – such as underwear without elastic or footwear made of solid canvas. Instead, the brig commander ordered Manning to endure humiliating and degrading conditions. There are no justifications for this behavior.